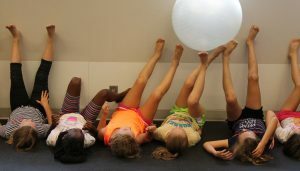 Danielle Wadsworth, Ph.D., Associate Professor in the School of Kinesiology, launched the Empowering Girls through Leadership and Exercise (EGLE) camp this summer for third through sixth grade girls. 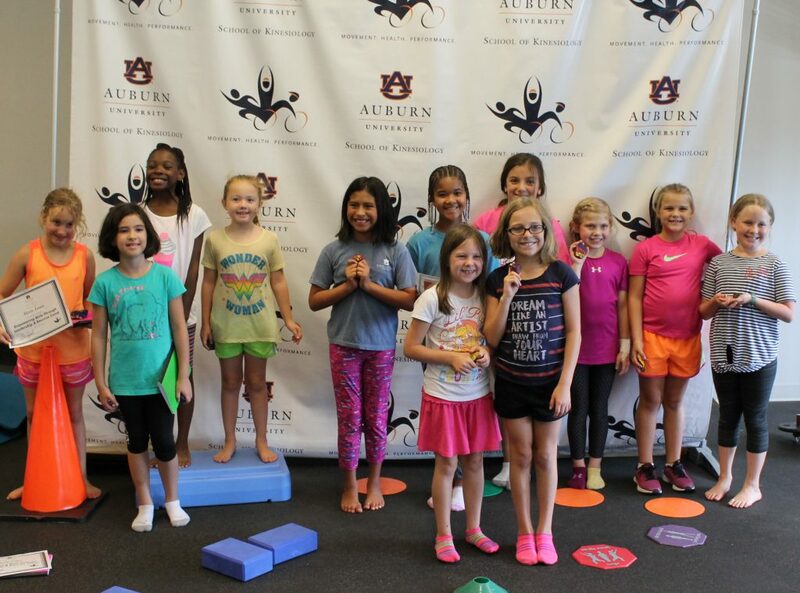 Eleven young ladies from the Auburn-Opelika area attended the camp June 19-22 at the School of Kinesiology in Wadsworth’s Exercise Adherence and Motivation Lab. The campers kept notebook journals of their thoughts and experiences throughout the week. They also painted rocks with an inspirational word on it, such as “helpful” or “creative.” One girl wrote “you rock,” which was Wadsworth’s favorite. These “affirmation rocks” serve as a reminder of their unique character strengths. 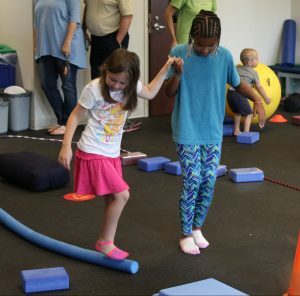 The students also made obstacle courses with cones, blocks, and balls that incorporated an exercise like balancing or push-ups. They had to lead others blindfolded through the course using words to describe what to do. This helped build communication skills, leadership, and teamwork. On the last day of the camp, the girls took their parents through the obstacle course they created. Several activities involved teamwork. For example, they passed a physio ball to each other along the wall lying down using only their feet, and passed a Funnoodle down the line to each other lying on their backs using only their feet. The camp also incorporated some fun tag games. One was cooperative tag, or the blob, where people connect arms and must stay together to tag people. If tagged, you connect and become part of the blob. Goal setting was another focus during the week. As a group they discussed how to set short-term and long-term goals by making them specific, measurable, attainable, realistic, and timely (SMART). They set individual goals for themselves in their journals as something to aspire to. The campers got to take home their journals, affirmation rocks, and a renewed sense of confidence and health. It was a great week for all concerned. Congratulations Dr. Wadsworth!